HBO picked up more statues at Sunday's Primetime Emmy Awards than every other television network and streaming service combined. Comedy Central earned 4 awards. Amazon and ABC won 2. Netflix, NBC, CBS and AMC picked up 1 Emmy each. HBO received 14, including both the outstanding comedy award for "Veep" and the outstanding drama award for "Game of Thrones." The results affirmed that HBO is still the television brand to beat, even as streaming sites create ever-stiffer competition. "HBO Trounces Rivals," said Monday morning's Wall Street Journal. "A Victory Lap for HBO," said The New York Times. While those headlines were being printed, HBO's stars were partying -- Emmy statues were piled atop the tables at the network's annual after-party in West Hollywood. HBO is a very profitable part of Time Warner, which also owns CNN. The network comes out on top every year, partly because it has such a wide variety of programming to submit, from miniseries to talk shows to dramas. But this year it was especially dominant. Entertainment Weekly's editor in chief Henry Goldblatt observed that "the last time the same network won best comedy and best drama at Emmys was NBC in 2002," when "The West Wing" and "Friends" both won. 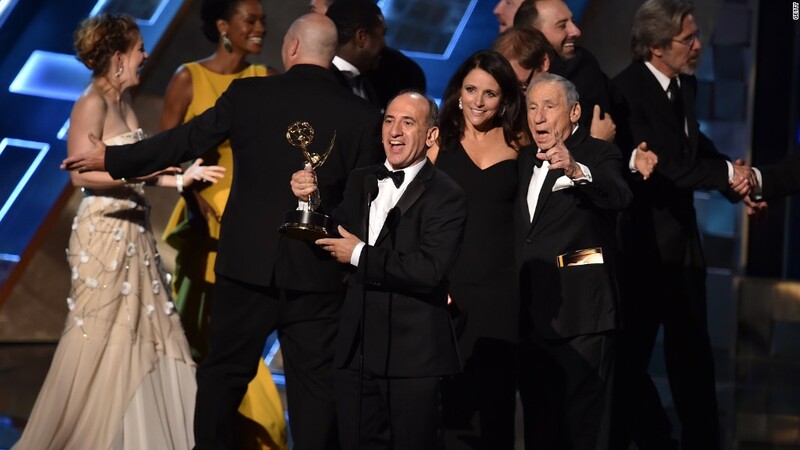 "Veep" beat out ABC's "Modern Family," the winner of the best comedy Emmy for the past five years. Julia Louis-Dreyfus, who plays the show's vice president, won her fourth straight lead actress award. And "Game of Thrones" bested Netflix's "House of Cards" and "Orange is the New Black," among other dramas. "The Television Academy announced new rules this year that allows all 15,000 academy members, not just smaller groups, to vote for awards -- a change some observers believe benefited shows with large fan bases, such as 'Game of Thrones,'" CNN's Brandon Griggs noted. Dozens of other awards were handed out at the Creative Arts Emmys earlier this month. Counting the wins at both ceremonies, "Game of Thrones" received 12 Emmys, setting a new record for the most wins for any show in any single year. The acclaimed miniseries "Olive Kitteridge" picked up 8 awards. Counting both the Creative Arts and Primetime wins, HBO added 43 Emmys to its collective mantle this year, compared with Amazon's 5 and Netflix's 4. Showtime, the HBO underdog on cable, picked up just 1 Emmy this year, for "Shameless." What all four brands have in common is an online subscription growth strategy. Sunday night's prime time awards telecast -- on the Fox broadcast network -- included what felt like a free ad for HBO's online service, HBO Now. Host Andy Samberg flashed his HBO Now account information on the screen and said "You're welcome." Users quickly discovered that the username and password actually worked, at least for a few minutes, until too many people tried to log in at the same time. HBO used the moment to encourage people to sign up for a 30-day free trial. Television reporter Bill Carter, a CNN contributor, tweeted after the show that "nobody manages Emmy voting like HBO," with well-orchestrated marketing campaigns aimed at voters each year. The network's many wins over Netflix partly reflect HBO's "skill in getting out its vote, but clearly voters like HBO shows more," Carter wrote. For HBO, each polished Emmys statue helps to further burnish the network's brand. "In an environment where there is a lot of clutter, brands become very, very important, and there is no brand that speaks to quality more than HBO does," HBO CEO Richard Plepler told CNNMoney in a recent interview. 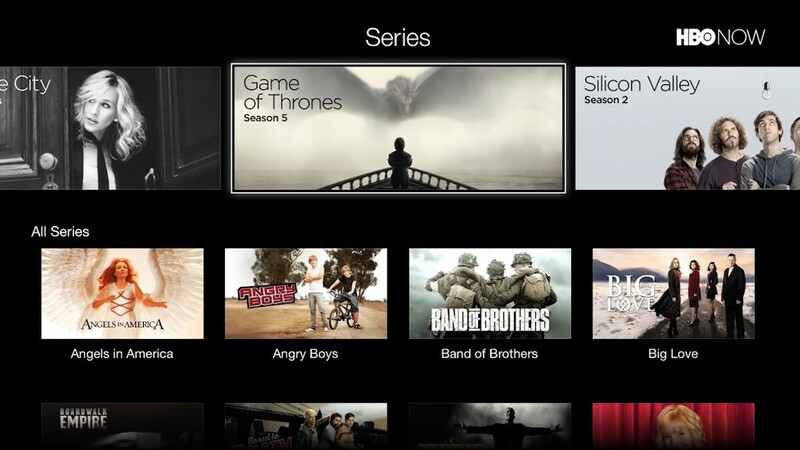 He asserted that the perception of high quality enables HBO to charge more for its online subscription service, $15 per month, than Netflix or other competitors. "Whether it's sports, whether it's documentaries, whether it's an original movie, whether it's a show like 'Vice' or John Oliver or Bill Maher, they know HBO stands for quality," he said.